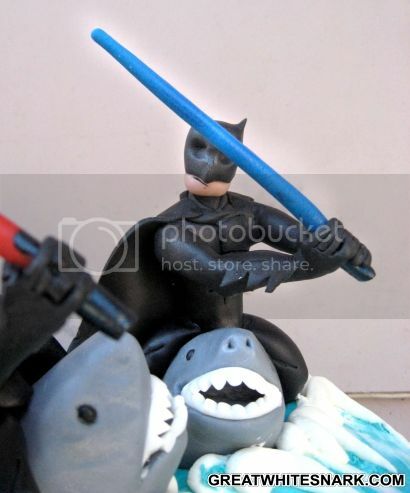 Recently images of a lightsaber-wielding Batman fighting Darth Vader and then a shark tickled the point-and-giggle-gleefully glands of geeks all over the internets. 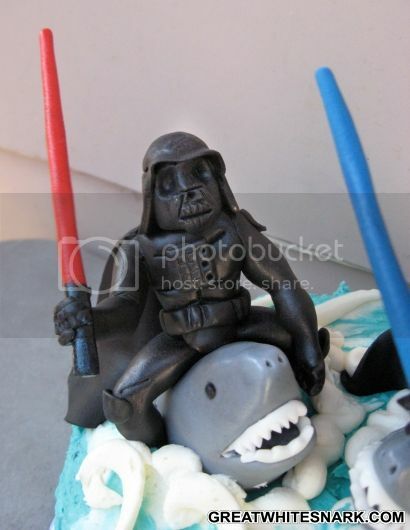 Now, in an unabashed attempt to Win the Internets, Liz Marek of Artisan Cake Company (formerly of Star Wars cupcakes fame) has combined Batman, Darth Vader, lightsabers, and sharks with a cake. Thanks to Liz for sharing the pics and deets on this frosted glory. And for capturing my good side. WHICH IS ALL OF MY SIDES. 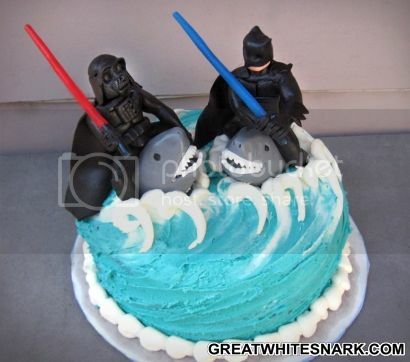 Does this mean the art of star wars cake making has jumped the shark?